Two primary school children have been helping their local NHS spread the message ‘Catch it, bin it, kill it’ on video. 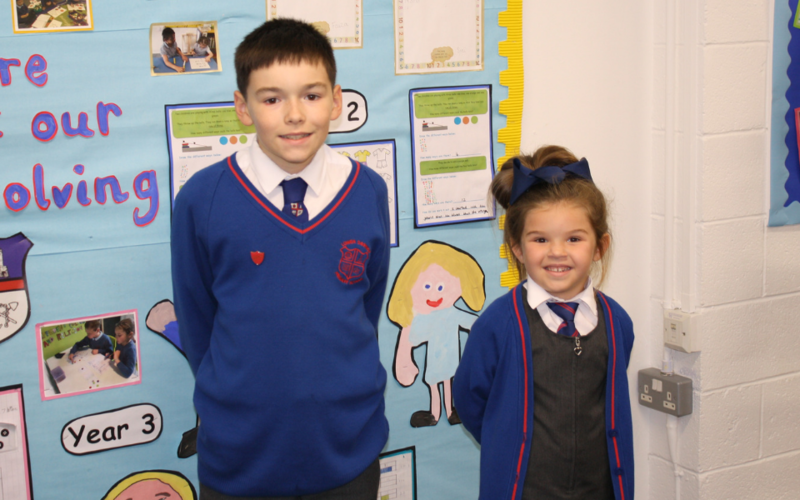 Liam Toner, aged 10 and Jessica Briggs, aged 6, are pupils at Lower Darwen Primary School and are helping spread the message to use a tissue to catch coughs and sneezes, then to bin the tissues and to kill the germs by washing hands. The video is part of a campaign being run by NHS East Lancashire Clinical Commissioning Group (CCG), NHS Blackburn with Darwen CCG and East Lancashire Hospitals NHS Trust to encourage parents and guardians to vaccinate their children against flu. The vaccination not only protects the child, more importantly it helps stop the spread of the illness especially to those older members of the family such as grandparents. It can cause severe illness and even death among vulnerable groups including older people, pregnant women and people with an underlying health condition. Once flu is spreading widely, apart from vaccination, hygiene is the only method that can help prevent spread. Flu is very infectious and spread by germs from coughs and sneezes, which can live on hands and surfaces for 24 hours. Children are particularly at risk of picking up infections and spreading them to other people. It’s especially important to make sure that hands are washed when you’re visiting someone in hospital or other healthcare setting, to help prevent the spread of infection.